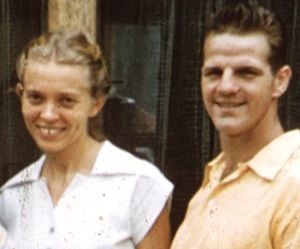 Growing up, one of the first missionary stories I heard was about Jim and Elisabeth Elliot in the jungles of Ecuador. I remember my mom reading to me about the Elliots and how Jim and four other men were martyred for their faith in 1956. I was so surprised when I heard that Elisabeth later moved back to Ecuador and lived with the Waorani tribe, even after they killed Jim. I remember thinking after hearing all this that I wanted to love Christ like she did and I also wanted to live my faith with that same grace and bravery, too! 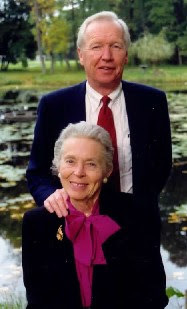 Elisabeth wrote over 20 books, some of which are still bestsellers today. Through Gates of Splendor might well be the most chronicled missionary account in the past century. Some other of her more popular titles are Let Me Be a Woman and Passion and Purity. I have read many of Elisabeth's books and am always so encouraged, inspired and convicted by them. They are well worth the read and some of the best books out there to encourage you in your walk with Jesus! Considering herself an ordinary woman with an extraordinary God, Elisabeth always said she wanted to use whatever means she could to share the Gospel and encourage others. One of those means was using media. Elisabeth traveled the world as a speaker, sharing the story of Jim's death and how God worked through it all. She was also a radio host of the Gateway to Joy broadcast, which still airs today. Later on, when she was older, a documentary called Beyond the Gates of Splendor was produced in 2002. Then in 2006, an incredible movie entitled End of the Spear was released, depicting the Elliot's strong faith in Christ as they tried to share the Gospel with the Waorani people. Elisabeth left a legacy rich in Christ and would always point others back to Him and His Word and not to herself. When asked on her opinion about a topic, she would say to seek God and check the Bible! She considered herself a servant of the Almighty and whether she was sharing the Gospel as a missionary in Ecuador, writing a book, doing an interview, hosting a radio broadcast, raising her daughter, or even cleaning the bathroom, she sought to do all for Christ. She was bold when speaking or writing, yet with grace, and wasn't afraid to call sin what it really is - sin! Yet she was also a woman full of kindness and a warmth not her own but His. She let Jesus speak through her, His love flow through her and touch thousands and thousands of hearts. We are so grateful she did!